Cristiano Ronaldo and Portugal are heading home. 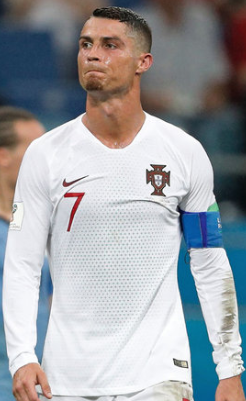 Just like Lionel Messi and Argentina hours prior, Portugal is out at the 2018 World Cup after being thoroughly defeated 2-1 by Uruguay in the round of 16. Two of the best footballers at present, Lionel Messi and Cristiano Ronaldo departs the FIFA Russia world cup,2018 same day. 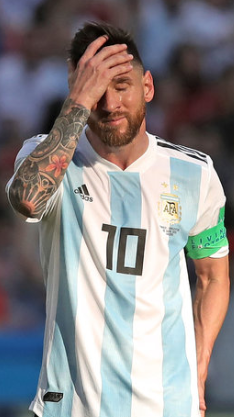 earlier today Messi's Argentina lost 3-4 against France. and Later, Cristiano Ronaldo's Portugal exits with 1-2 defeat against 2 times world champion Uruguay. That superb cross from Luis Suarez, thats canon heading from Cavani gave Uruguay lead in 7th minute. After cavani's goal, there was no effective effort from either sides. and half time score remained Uruguay 1- 0 Portugal. With the final blow of the whistle, Portugal departs Russia the same day as Argentina does. Player of the Match goes to Edison Cavani, who scored two wonderful goals.Uruguay didnot have conceeded any goals yet until Pepe came to break the dreadlock.